PARIS - Harmony of the Seas, the world's largest cruise ship, started the trial cruise from the harbor of Saint-Nazairre, France, Thursday (03/10/2016). This ship is very large and weighs about 227,000 tons, so that the ship must be "helped" by six guideship for out of the dock. As an illustration of how big this floating hotels, Harmony of the Seas is 50 meters longer than the Eiffel Tower. The ship is also 100 meters longer than Titanic as the legendary cruise ship, and was built at a cost of nearly 800 million pounds. When performing a trial cruise on Sunday (03/06/2016), the ship was not carrying the passengers. However, the 500 crew remain on it. This ship is the massive size with 6,000 passengers capacity, so that when you are far away from the coast of France, the ship can still be seen by thousands of people who were on the beach. For several months, the tourists were allowed for go up to the ship and admire the cruise luxury which has 18 floors and 361 meters long. Over the past year, three skipper has been trained intensively using simulation engine in Nantes city. They would help the captain to perform a difficult maneuvers to guide the ship out of the Saint-Nazaire estuary. When the ship is fully operational and is full of passengers, the ship will carry 2,000 crew. 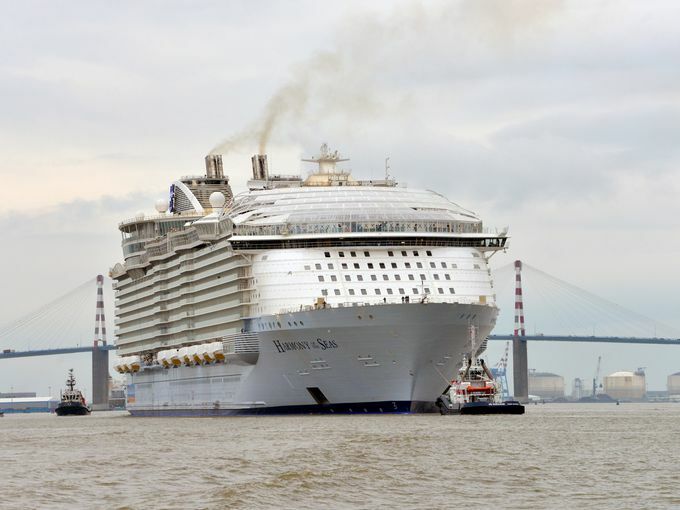 This ship has a size nine meters wider than the previous two cruise ship, Allure of the Seas and Oasis of the Seas. This ships owned by Royal Caribbean International will once again to undergoing trials at the end of May before cruising to Southampton, England, in May. The first cruise of this ship from Southampton, England, heading to Barcelona, Spain, in the first trip around the Mediterranean Sea.